As one of the renowned English medium school, Mussoorie Public School is situated in the heart of Mussoorie and recognized by the state government of Uttarakhand. It’s a kind of Co-Educational residential school came into existence on 1966 and committed to provide preparation of Class X and Class X11 for ICSE and ISC board examination. Mrs Santosh Gaur, Late Mrs Shashi Bala, Mrs Gurucharan Kaur, and Late Mrs Pushpa Puri was founded this school in 1966 but presently it is running under Mr. Nirmal Gaur who is the current chairman of this school. 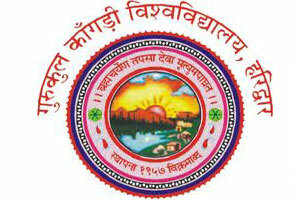 If you talk about the quality of education and personality development offered by this school; it’s simply incredible. Mussoorie Public School is a residential English school which is well-known for education standard and affiliated to Council associated with Indian School Certificate Examination board, New Delhi. 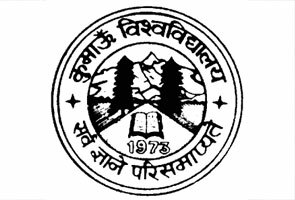 The college is responsible to prepare 10th grade students for Indian Certificate of Secondary Education (ICSE) exam and 12th grade students for Indian School Certificate (ISC) exam. After finishing the course from Mussoorie Public School, students can get admission in Graduation course in any recognized university and they are also allowed to get admission in professional degree such as Engineering or Medical etc. The Main building belongs to Mussoorie Public School is introduced as Pratap Bhawan which has lots of space for School offices, morning assembly, dining rooms including dormitories for sub-junior girls and boys. 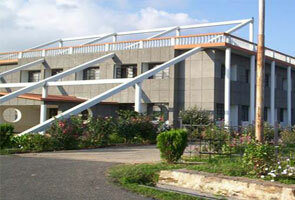 The campus of Pratap Bhawan is situated on very large space including 2 acres of garden as well as playground space. Apart from the Pratap Bhawan, Mussoorie Public School has also other building which is 450 seating capacity hall and very near to Pratap Bhawan. Indoor games complex associated with Mussoorie Public School is a multi-purpose auditorium hall. Along with that the Vivekanand Bhawan which is located very close to Camel’s Back Road and have well-organized science-laboratories including dormitories for senior boys. CISCE board syllabus is followed by Mussoorie Public School also known as MPS. Here students are taught numerous subjects containing science as well as languages. For the better improvement of students all the modern teaching methodology such as audio-visual aids, multimedia are used while providing classes to students. Along with the world-class education, Mussoorie Public School is also committed to provide physical training and several games facilities such as Football, cricket, volley-ball, basket table table tennis ball, karate, judo etc. so that students would be capable to perform the best in their every year. Students can do the advance registration at any time during the year by paying required registration fees. Please keep in mind the registration fee is non-refundable and you can find the registration form from the official website of Mussoorie Public school. All the registered students are necessary to appear in the entrance test which is generally held in the first week of March. Entrance Test which included English as well as Mathematics and the duration of the course is 1 hour. Children who are going to get admission in Nursery or KG will be tested orally and in other ways. For Nursery standard: Original Birth Certificate. For KG to Class VII standard: Original transfer certificate from the last school or college you attended. For Class VIII and Above: Original transfer certificate from the last school or college you attended and counter-signed including office seal by the District Inspector of Schools /District Education Officer / competent authority of the education department of the district from which your school belong. Please go through the mentioned website for more details regarding exam and admission. If you’ve any queries then you can follow the contact details mentioned above.